What do all these numbers add up to? The ideal Cape Royal neighborhood, of course. Also known as Royal Tee - with all the golf nearby how could it avoid the name? - Cape Royal boasts homes on oversized lots nestled among immaculately groomed and maintained golf club grounds. Centrally located among the many canals and waterways of Cape Coral, Cape Royal offers exceptionally easy access to shopping, golf, tennis, boating, beaches, and excellent schools. 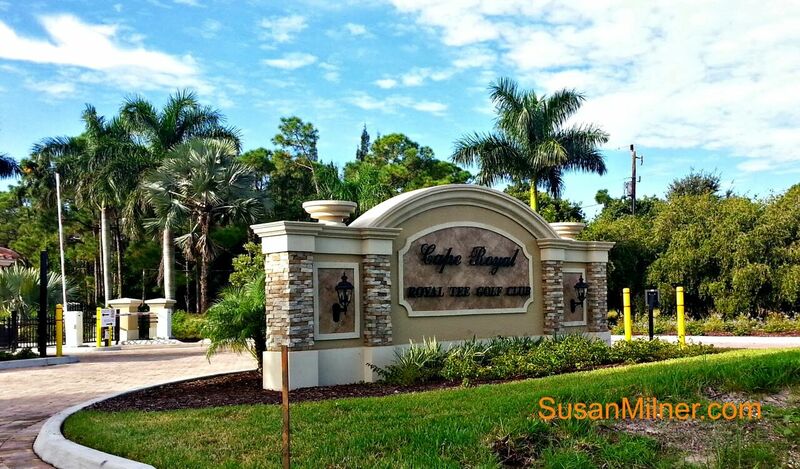 Cape Royal is located off of Pine Island Road just north of Veterans Parkway and is the only gated golfing community in Cape Coral. For those days when you’re not "hitting the links" or maybe after a long round, you can relax at the clubhouse or the grill and lounge. After a challenging game of tennis, you can browse the new wares at the pro shop - maybe pick up the new club you’ve been looking at. With several restaurants and shopping a few minutes' drive away, it’s no surprise that the elementary school is as well. On a lazy Saturday, it’s nothing to pack up the car or even the boat and head out to beautiful beaches such as Sanibel and Captiva. Over in Ft. Myers is the Edison Mall, and outlet malls like Tanger and Miromar are less than an hour away. With many selections in Cape Royal, your ideal new home is waiting for you. When you want to learn more about the excellently appointed home of your dreams, give the Florida Future Realty Team a ring. As the Cape Coral real estate agency of choice, we go to great lengths to make sure you obtain the home of your dreams. Need to Sell Your Current Home? No Problem. Seeking information on how much your current home is worth? Our team will be with you every step of the way, contact us today and we will make sure your home is listed at the right price so it will sell quickly. Let us help you get started.